Trail running is becoming more of a regular feature in my training regime. Once a week, I am going to attempt to run the 18 kilometres into work, and 18 kilometres home. I tried it one way a few weeks ago, and it went well; except that I arrived at work feeling distinctly parched, and to find the water supply in the office had been shut off for a few hours. 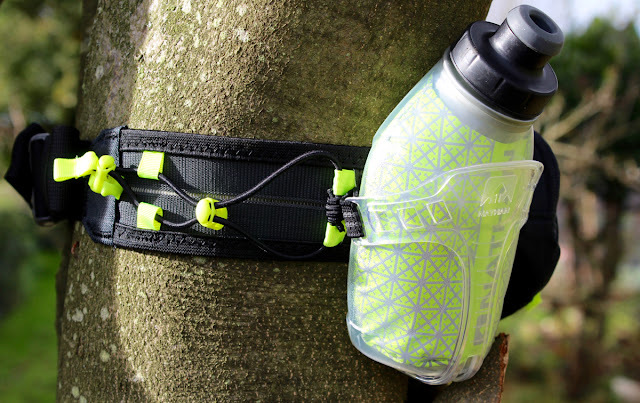 I started looking for a better solution than running with a water bottle, and came across the neat little TrailMix Plus Hydration Belt from Nathan Sports. 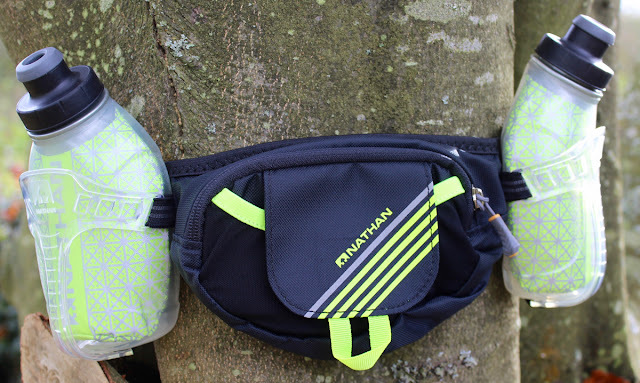 Nathan Sports produce a wide range of bottles, hydration belt, flasks, and running packs; to keep you supplied with fluid on your runs, and also to help you carry valuables and food. 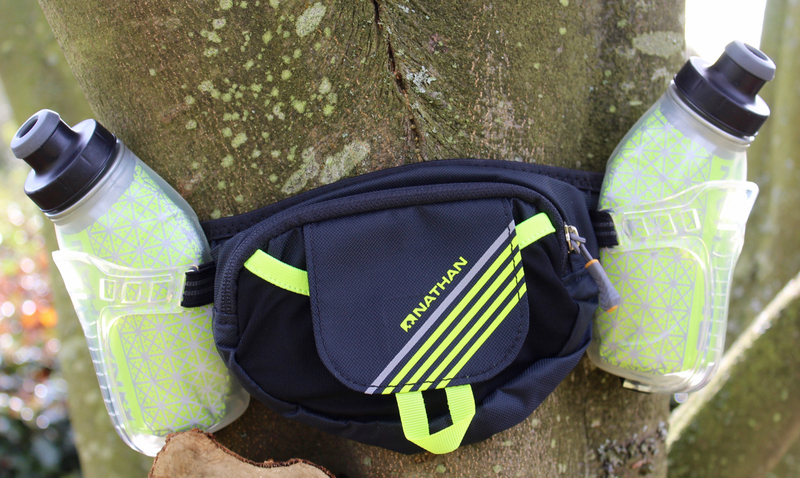 The TrailMix Plus Insulated 2 Hydration Belt is their neat little belt for trail running adventures; with enough capacity for vital fluids, valuables and a few snacks or gels. 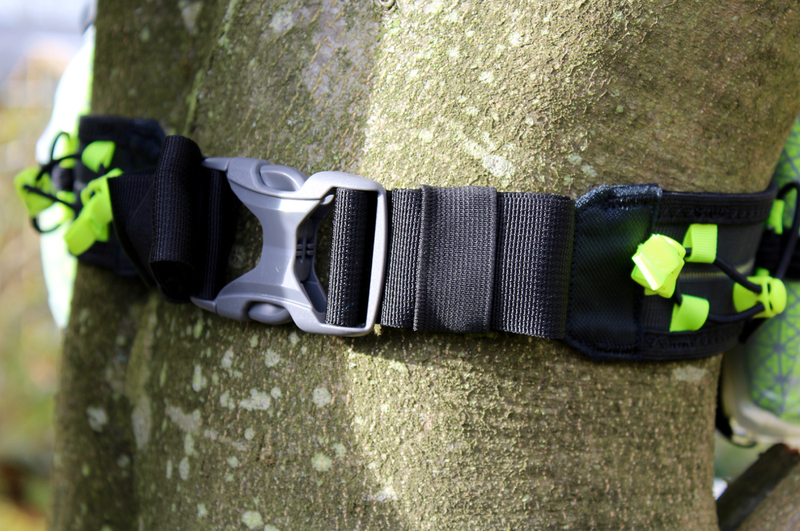 The pack has a wide elasticated belt, which fastens at the front using a strong quick release clip. There is plenty of adjustment in the belt, so whether you're running to lose a bit of weight, or you're already at race weight, it should fit you fine. Attached to the soft belt are two bottle holsters, which house Nathan's unique insulated reflective bottles. These bottles have a soft, easy to open spout, which is ideal when you're running along and trying to pull it open at the same time. They also feature a special ergonomic design, so they sit away from the hipbones when they are in the holster, and they are also comfortable to hold. A pleasure to grab a refreshing cool (or warmed) drink from. Carrying capacity on the TrailMix Hydration Plus Belt comes in the form of a neat little zippered pouch at the back, which is ideal for valuable or a phone. On the outside of this, you also get a Velcro closure pocket, for easier to grab items, such as snacks. Then, on the side of the belt itself, there are two elastic cinch systems, where you can securely hold a bar or gel, ready to grab at a convenient moment. 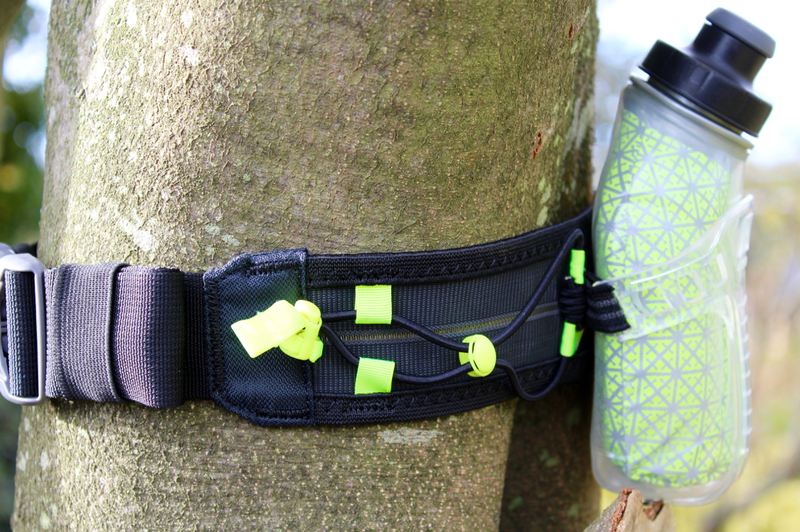 Overall, this is a comfortable, adjustable and very well designed and made hydration belt. It holds just enough for those extended trail runs, and does so in a manner that is almost unnoticeable whilst you run. A major improvement over a bum bag and bike bottle approach!